Have you missed Bamboo Live in CDO last year? Check out this video from Bamboo's last year's concert here in CDO for a preview! Well, worry no more and save the date on December 13, 2018 because BAMBOO is BACK in CDO! 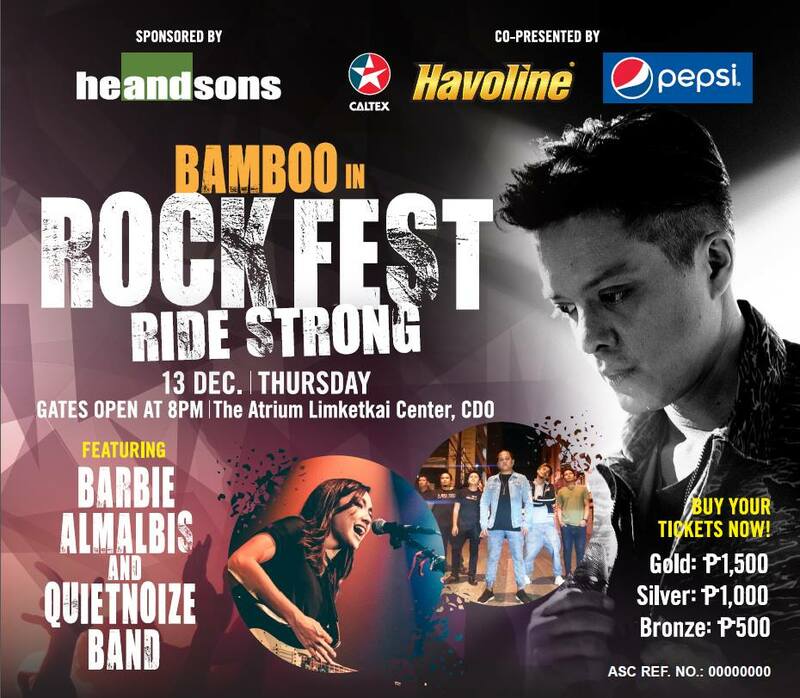 HE and Sons Corporation together with Caltex and Havoline; co-presented by Pepsi is set to bring again BAMBOO IN ROCKFEST CDO featuring Barbie Almalbis and Quiet Noize Band on December 13, 2018, Thursday, 8PM, at the Atrium, Limketkai Center in Cagayan de Oro City. Buy your tickets now at these ticket outlets. 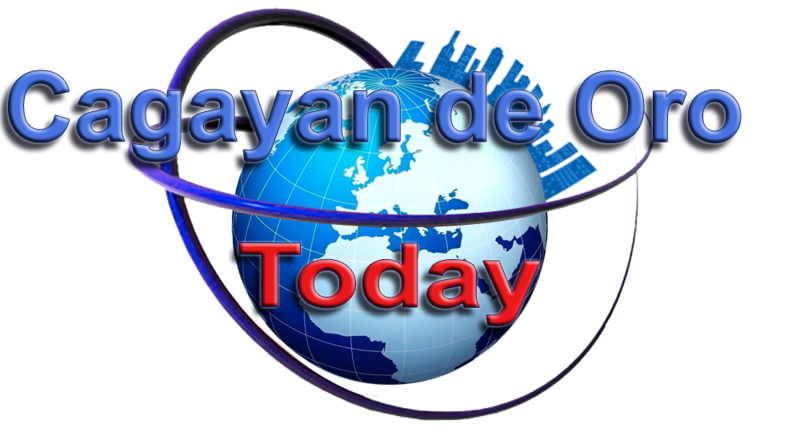 Maison de Bon Bon Corrales Ave. But wait! Here's an exciting part! 1. Go to their EVENT PAGE Bamboo in Rockfest CDO - and click "GOING". 2. Tag maximum of 5 Bamboo fanatic friends in our FB Page comments section + the hashtag #BambooInRockfestCDO. We'll announce the (2) winners of Gold Tickets on Dec 12, 2018, using a Facebook randomizer.